David Novak holds the J. Richard and Dorothy Shiff Chair of Jewish Studies as Professor of the Study of Religion and Professor of Philosophy at the University of Toronto since 1997. He is a member of University College, the Centre for Ethics, of the Joint Centre for Bioethics there. From 1997 to 2002 he also was Director of the Jewish Studies Programme. In 2006 he received the Dean’s Award for Excellence. From 1989 to 1997 he was the Edgar M. Bronfman Professor of Modern Judaic Studies at the University of Virginia. Previously he taught at Oklahoma City University, Old Dominion University, the New School for Social Research, the Jewish Theological Seminary of America, and Baruch College of the City University of New York. From 1966 to 1969 he was Jewish Chaplain to St. Elizabeth’s Hospital, National Institute of Mental Health, in Washington, D.C. From 1966 to 1989 he served as a pulpit rabbi in several communities in the United States. David Novak was born in Chicago in 1941. He received his A.B. from the University of Chicago in 1961, his M.H.L. (Master of Hebrew Literature) in 1964 and his rabbinical diploma in 1966 from the Jewish Theological Seminary of America. He received his Ph.D. in philosophy from Georgetown University in 1971. David Novak is a founder, vice-president, and coordinator of the Jewish Law Panel of the Union for Traditional Judaism, and a founder and faculty member of the Institute of Traditional Judaism in Teaneck, New Jersey. He serves as secretary-treasurer of the Institute on Religion and Public Life in New York City and is on the editorial board of its journal First Things. He is a Fellow of the American Academy for Jewish Research and the Academy for Jewish Philosophy, and a member of the Board of Consulting Scholars of the James Madison Program in American Ideals and Institutions at Princeton University. In 1992-93 he was a Fellow at the Woodrow Wilson International Center for Scholars in Washington, D.C. In 1995 he was Distinguished Visiting Professor of Religion and Business Ethics at Drew University. In 1996 he delivered the Lancaster/Yarnton Lectures at Oxford University and at Lancaster University. In the fall of 2004 he was the Charles E. Test, M.D. Distinguished Visiting Scholar at Princeton University. In the spring of 2006 he was Visiting Professor of Religion at Princeton. He has lectured throughout North America, Europe, Israel, and South Africa. David Novak is the author of thirteen books, the last two being The Jewish Social Contract: A Essay in Political Theology (Princeton University Press, 2005), and Talking with Christians: Musings of a Jewish Theologian (Eerdmans Publishing Co., 2005). 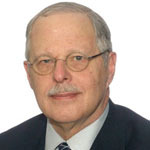 His book, Covenantal Rights: A Study in Jewish Political Theory (Princeton University Press, 2000) won the award of the American Academy of Religion for “best book in constructive religious thought in 2000.” He has edited four books, and is the author of over 200 articles in scholarly and intellectual journals. Since 1963 David Novak has been married to Melva Ziman. The Novaks have two grown children and four grandchildren. The Election of Israel: The Idea of the Chosen People (Cambridge: Cambridge University Press, 1995); paperback ed., 2007; Italian trans. Franco Bassani, L’Elezione d’Israele: L’idea del popolo eletto (Brescia: Paideia Editrice, 2001). The Jewish Social Contract: An Essay in Political Theology (Princeton, NJ: Princeton University Press, 2005). The Sanctity of Human Life (Washington, DC: Georgetown University Press, 2007). In Defense of Religious Liberty (Wilmington, DE: ISI Books, 2009). Natural Law: A Jewish, Christian, and Islamic Trialogue, co-authored with Anver Emon and Matthew Levering (Oxford: Oxford University Press, 2014). “Maimonides’ Treatment of Christianity and Its Normative Implications” in Jewish Theology and World Religions, eds. A. Goshen-Gottstein and E. Korn (Oxford: Littman Library of Jewish Civilization, 2012), 217-33. “Haunted by the Ghost of Weimar: Leo Strauss’ Critique of Hans Kelsen” in The Weimar Moment, ed. L. V. Kaplan and R. Koshar (Lanham, MD; Lexington Books, 2012), 393- 408. “Creation” in Cambridge History of Modern Jewish Philosophy, eds. D. Novak, M. Kavka, Z. Braiterman (Cambridge: Cambridge University Press, 2012), 371-98. “Covenant and Mission” in Covenant and Hope, eds. R. W. Jenson and E. B. Korn (Grand Rapids. MI: Eerdmans, 2012), 41-57. “Jewish Philosophy in North America” in Jewish Philosophy: Perspectives and Retrospectives, ed. R. Jospe and D. Schwartz (Boston: Academic Studies Press, 2012), 79- 103. “Moses Maimonides” in The Decalogue Through the Centuries, eds. J. P. Greenman and T. Larsen (Louisville, KY: Westminster John Knox Press, 2012), 81-96. “Spinoza and Jewish Ethics” in The Oxford Handbook of Jewish Ethics and Morality, eds. E. N. Dorff and J. K. Crane (New York: Oxford University Press, 2013), 102-17. “Doing Political Theology Today” in Political Theology for a Pluralistic Age, ed. M. J. Kessler (New York: Oxford University Press, 2013), 201-17. “Some Thoughts on Sanford Levinson’s ‘Divided Loyalties: The Problem of Dual Sovereignty and Constitutional Faith’,” Touro Law Review (2013) 29:295-305. “Response to Edmund N. Santurri” (re #166: “Defending Niebuhr from Hauerwas”), Journal of Religious Ethics (2013), 41:551-54. “Jews and the Social Contract” in Religion Beyond Its Private Role in Modern Society, ed. W. Hofstee and A. van der Kooij (Leiden: Brill, 2013), 135-151. “The Bible and Philosophy” in As a Perennial Spring: A Festschrift Honoring Rabbi Dr. Norman Lamm, ed. B. Cohen (New York: Downhill Publishing LLC, 2013), 341-359. 15 King's College Circle (room 314), Toronto, ON M5S 3H7.